Watercourses Jasenova and Žestilovac are part of the complex high water’s protection system, but their primary function is undermined by overgrown thick vegetation in the watercourse basins. When it is properly maintained, the water flow in watercourse Jasenova is 17.80 m3/s and in watercourse Žestilovac 7.200 m3/s. It is estimated that the current water flow in the basins is reduced by about 60%. Due to more frequent precipitation in this area, it is necessary to ensure good drainage so the need for maintenance and clearing of watercourses Jasenovo and Žestilovac is undeniable. Canal Jasenova is a direct affluent to Studve, and Žestilovac is the release canal of Jasenova. The flood that occurred in May 2014 caused additional damage, since they served to evacuate flood water in the area of ​​Spačva forests. 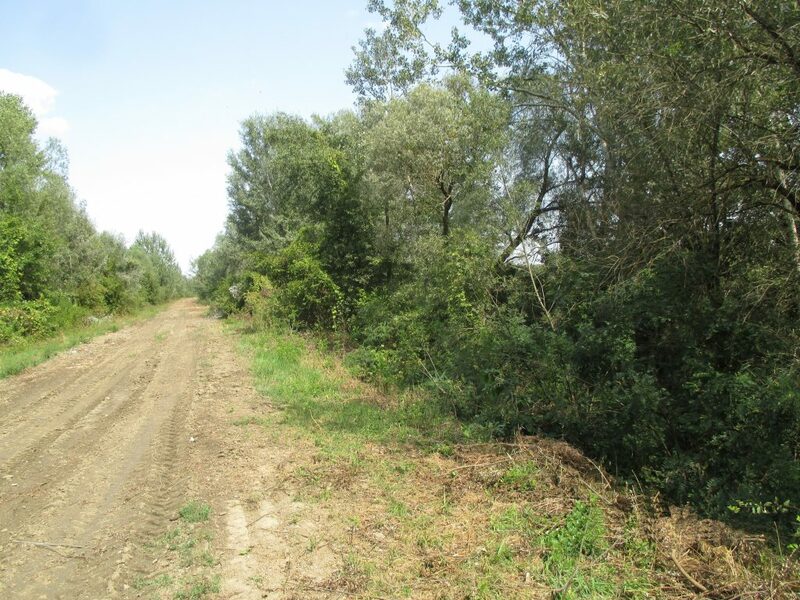 It is important to point out that the canal Žestilovac did not fulfill its function as a release canal, precisely because of the overgrown thick vegetation. 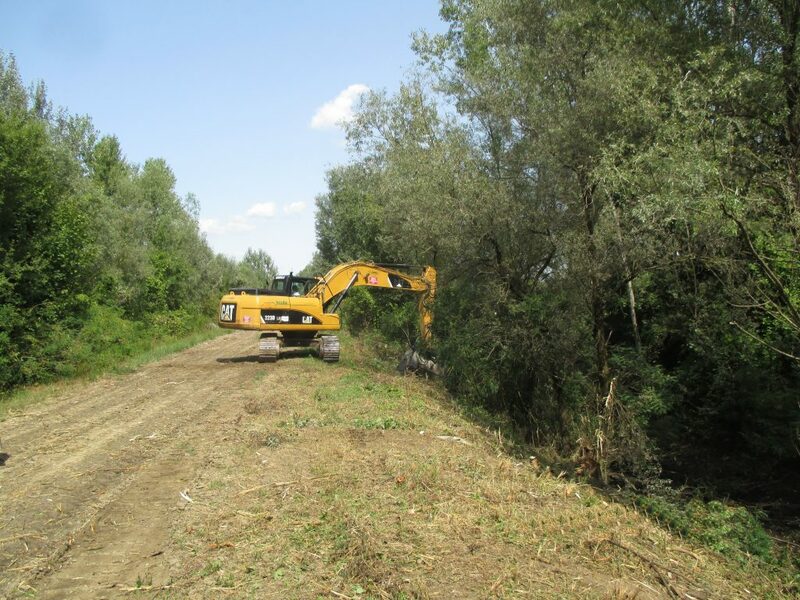 Emergency interventions were needed, so new canal was dug parallel to the Žestilovac canal, to divert water towards the forest area and prevent the flooding of villages Soljani and Strošinci. By taking this actions the upper part of underbasin of Studva watercourse was relieved, so similar actions were not necessary on Jasenova canal. Since both canals have been overgrown with thick vegetation, clearing up and maintenance would certainly contribute to better and faster drainage and at the same time increase the level of protection of surrounding area from flooding caused by internal or external water. The water in cleaned and maintained basins will be cleaner and will flow faster in Spačva forest basin where it provides nutrition for forest community. It will also reduce the possibility of creating habitats of undesirable insects and animals that endanger health, and will contribute to the quality of the environment and life of the population. 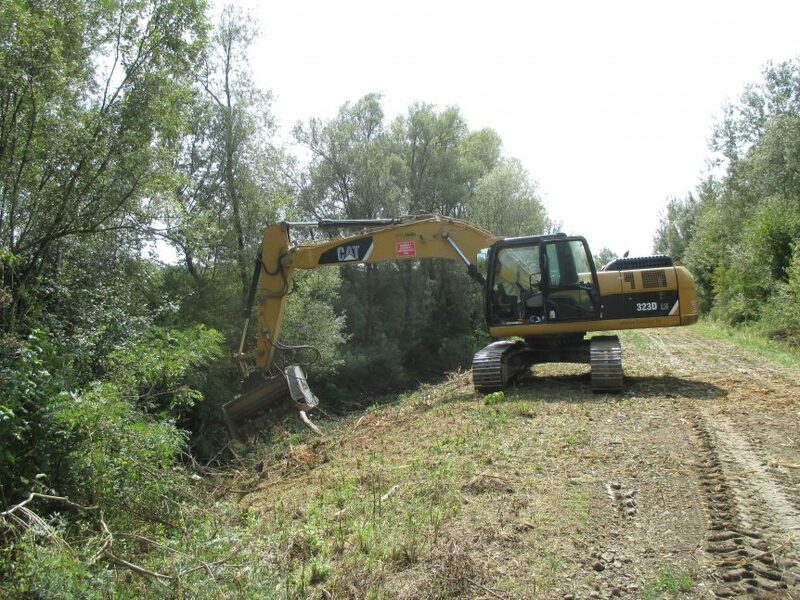 Works on clearing the watercourses Jasenova and Žestilovac began on 21.08.2017 in accordance with the foreseen terms and the dynamic plan.